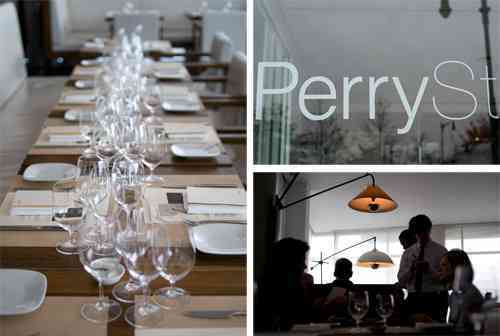 You are here: Home » Featured Food Pairing: Austria Uncorked Grandaisy Bakery, Klee Brasserie & Perry St. Featured Food Pairing: Austria Uncorked Grandaisy Bakery, Klee Brasserie & Perry St.
We have a special treat for you today: three, count it, three more places with exceptional food. 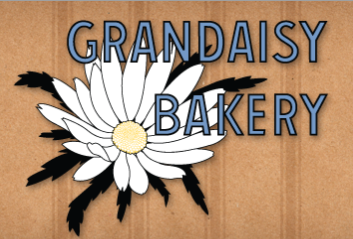 We’ve got Grandaisy Bakery, a European-inspired Italian bakery that focuses on breads, pizzas, pastries and gourmet paninis. And what have they bringing to Uncorked? Well, that’d be Roman Style Pizza and Breads, of course. The best part about this bakery is their focus on fresh and local ingredients so you can be sure the pizzettes you’ll be snacking on Wednesday night will be from only the freshest ingredients and perfect for the season. An added bonus about this bakery? They have three locations in NYC (Tribeca, Soho and the UWS) so you can have baker Julio’s delectable creations every day! Next, Klee Brasserie who is bringing us H ousemade Kobe Beef Wiener Sausage with Chef’s Sriracha Mustard. Chef and owner, Daniel Angerer, helped us out with one of our first featured food pairings and we’re sure this dish will be as sure to please as the last. Spicy notes here again so let’s go Gruner, something crisp, clean and highly acidic with the distinct green apple and white pepper that Gruner’s come to be known by. To read more about Klee Brasserie, check out our original Featured Food Pairing post! Finally, Perry St. restaurant in the West Village where Chef Cedric Vongerichten has concocted a yummy Market Beet Salad with Goat Cheese, Champagne Mango Vinaigrette. With all these restaurants, looks like we’ve got ourselves a five star meal. Perry St. is part of the Jean-Georges restaurant group (other notable names in the group include Spice Market ABC Market and more) and features a series of l ighter gourmet options with a plethora of salads and fish fare. Well, while you’ve got the Gruner in your glass from the last dish, you might as well keep it there for this dish too. Or perhaps try a Riesling here from the Wachau keeping the acidity, but bumping up the weight of the wine. We’re salivating just thinking about it! Only a few more days so raise your glass and come with an empty stomach, these are just three more dishes you won’t want to miss!